This is a painting in a new series, 100 Flowers in 100 Days, number 7. I am making a new Flower painting each day and posting it on Etsy, Facebook, and Instagram the same day. 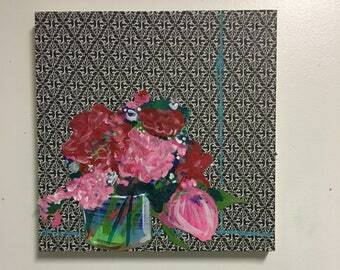 This piece is on canvas, 8" x 8" with sides painted so a frame is not necessary. Sides are gallery framed, 1" depth to avoid warping. 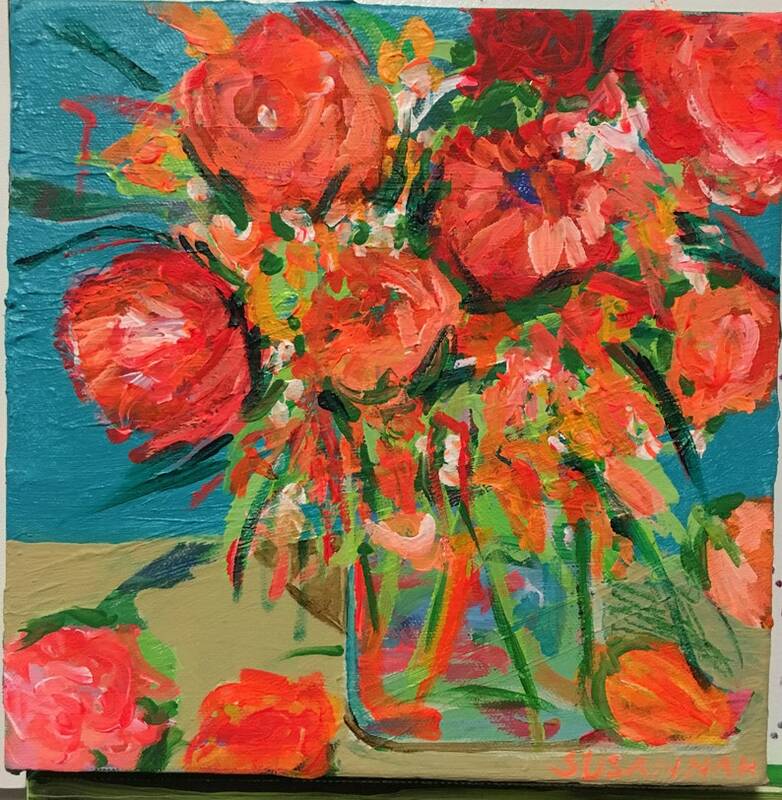 This is an original acrylic painting of a bright bouquet in oranges -- peachy oranges, red oranges, pinky oranges and varying hues of green, against a bright turquoise background. Closeup perspective with a partial view of the arrangement. Varnished for extra protection and shine. Wired on back for hanging.